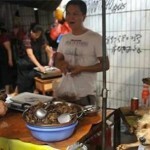 Despite the efforts of Thailand-based animal rescue organizations, Thai law enforcement agencies, and the objection by the vast majority of Thai people there still exists a cruel trade in dog meat and dog skin in the country. There are Thai laws against animal cruelty in Thailand but dog traders and butchers have still managed to smuggle dogs to a sad fate. 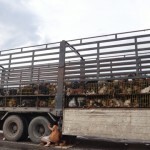 An estimated 2,000 dogs are picked up each week in Thailand where they are then transported to be slaughtered; mainly across the Thai border where sales are more profitable than in the kingdom. 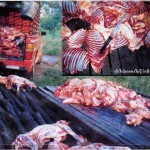 A select number of dogs are killed for their meat to be eaten while others are slaughtered for their skin. Knowing man’s best friend is being killed for this purpose may be disturbing for some but it is the method and journey to their final destination that makes the trade so disturbing. 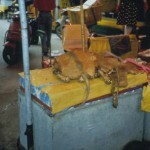 Any roaming dog is a target for individuals in the trade. 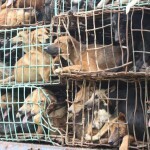 There have been witness accounts of people on motorbikes that strike the dogs with a bat or catch the dog with a wire around its neck where they are then shoved into small cages in a waiting truck. There are even reports of trucks going into small villages with a loudspeaker announcing that locals can exchange their dog for bottled water or a bucket. 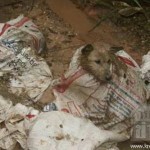 Sometimes THB 50 to THB 150 is offered to people, or stray dogs are simply given up if they are considered a nuisance. However, people have reported issues with their pet dogs being stolen. One village in Kakon Phanom has actually had to barricade the entrances at night to prevent groups from taking their pets. 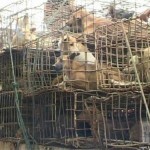 Once in captivity, many dogs are literally packaged in cages and sent to other Asian countries such as Vietnam and China. 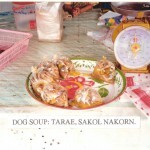 The dogs that stay in Thailand are mainly kept in northern Thailand where most sellers and buyers are from outlying countries. 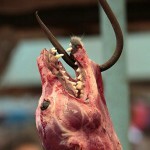 In San Patong, outside of Chiang Mai, certain street vendors slaughter the dogs in the town where the meat is then sold to small shops. 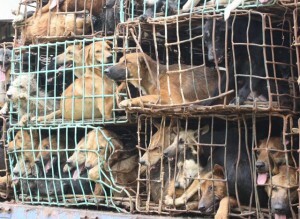 Dogs killed for meat and internal organs are subject to not only inhumane transport to the towns, where many die from suffocation along the way, but an inhumane killing. Those that survive the journey are often tortured for hours before being skinned alive or are electrocuted with 220 volts to the mouth. 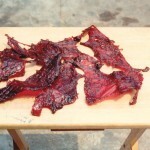 Some are still alive while being skinned. 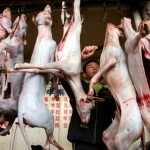 The reason for this is that these people believe that the pain inflicted on the dogs leads to the tenderizing of the meat. It is true that pain increases adrenalin but it does not, in turn, tenderize the meat. 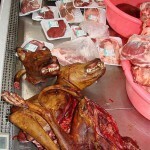 In actuality, most Thais disapprove of the consumption of dog meat and traditional Buddhist belief disapproves of animal cruelty. 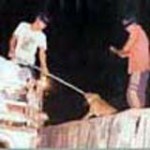 However, this has not stopped it from happening, mainly in the northern provinces of Thailand. 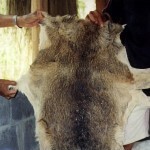 Alongside Thai laws against animal cruelty, there are laws prohibiting the export of dog skin for the hide business. 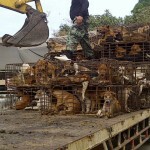 The Thai criminal law, Article 381, states “a person committing an act of cruelty or killing an animal by means of inducing unnecessary torment shall be sentenced to one month in jail or fined one thousand baht or both.” Nevertheless, many dog collectors have gone undetected and circumvented these laws when taking and transporting dogs. 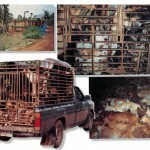 Tha Rae, in Thailand’s Sakon Nakhon district, has been linked to where much of the country’s dog trade and killing started. 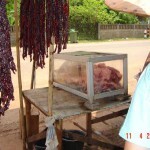 Due to the demand for meat from Vietnam and skin from China, the past 15 years have seen an increase in profits in this area. 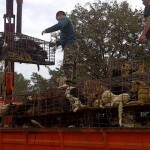 The ladder-like system provides approximately THB 50-150 for villagers who pick up the dogs, THB 200-500 to the dog mills, and THB 1,000-2,000 to those who smuggle dogs over the border. When dogs are seized from being smuggled across the border, officials have to decide what to do with thousands of unvaccinated, unsterilized, and many times sick dogs. Those who are sent to shelters then face outbreaks of parvo and distemper which can be fatal. 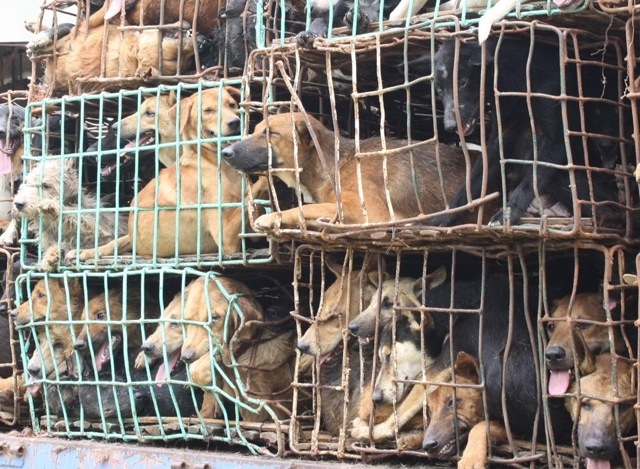 The maximum penalty for transporting live dogs to Vietnam is two years in prison and/or a fine of THB 40,000. However, the biggest penalty given so far was six months in prison halved to three months after the person pleaded guilty. A lack of funds and facilities make it difficult to place the dogs that are ‘rescued’ but the route of the problem is that there is no specific law prohibiting the collection of dogs. When public crackdowns have happened officials have found thousands of dogs being transported by trucks. 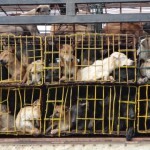 One example is when the Royal Thai Police, the Royal Navy Border Patrol and members of the Animal Activists Alliance Thailand arrested international dog meat smugglers in the Nakorn Phanom Province. More than 1,200 weak and starving dogs were found caged and crammed into trucks. Thai AGA has been trying to pass a law against the dog meat and skin trade for the past 15 years, but has only been able to get the draft on hold in the parliament since last April. A new animal welfare bill has also been submitted to parliament by the Soi Dog Foundation. According to Lohanan, over the past decade, dog traders have become financially influential thus being able to secure the continuation and means to export and sell dogs. 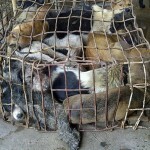 Care for Dogs has advocated for stricter laws and harsher punishments for those caught in the dog trade. 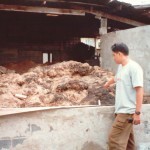 The organizations members have first-hand accounts of rescues of dogs that were intended for slaughter. 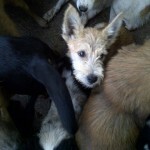 They advocate that everyone spay or neuter their animals and while they identify that there are far too many street dogs in Thailand, experience has shown that sterilization programs are an effective way of reducing the number of dogs taken in the trade. Like any other industry that produces a lucrative income the dog meat and skin trade has continued to run a steady course. Trying to control the number of dogs killed and transported to other countries has proved to be a difficult task but a number of people in Thailand are continuing the fight to stop the trade. 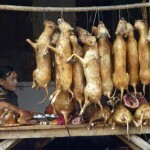 Disclaimer: The following photos are of the dog meat and dog skin trade and may be disturbing for some. Thank you for shining a light on this horrid practice. Keep up the good work. Some people don’t realize the seriousnes of this but these dogs are being abused. It sickens me to know there are people who treat living creatures like this. Badly needed to shine a spotlight on this horrible trade. I adopted a dog this past February from Thailand who was one of hundreds of dogs confiscated in cages upboard a flatbed truck at the Thai border, heading into Vietnam in December 2011. Soidog Foundation helped me to get her out of the government shelter and get her down to their shelter in Phuket. After about a month of health checks, spaying and vaccinations, she flew into Los Angeles, where I picked her up, after driving six hours from San Francisco. 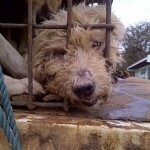 Go to Soidogs’s website: http://www.soidog.org to learn all about this terrible “trade of shame.” There is still a lot to be done.